Tubes and cylinders - Borosilicate and quartz glass, mica, sealing, level gauges, armature - Continental Trade. The standard tube length is 1500 mm, but we can supply tubes of different lengths. Above data refer to DURAN borosilicate glass tubes. NOTE! 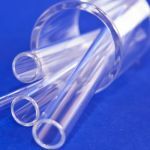 The above mentioned borosilicate tubes are sold in standard lengths of 1 500 mm. However, on customer request we can prepare tubes of different lengths. If you can't find correct size - contact us. It is a glass highly resistant to water, neutral and acidic environment, solutions and concentrated acid and alkalies, chlorine, bromine, iodine and organic substances. 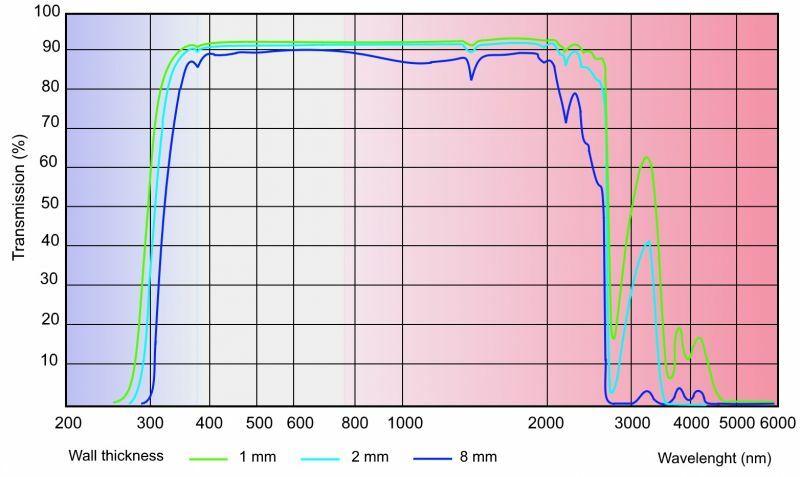 The chemical resistance of the glass Duran® resistance is higher than most metals, even during a prolonged period and at higher temperatures (> 100 ° C). Only hydrofluoric acid, concentrated phosphoric acid, and strong alkaline materials may cause decrease the surface of glass (glass corrosion) of temperature above 100 ° C.
Maximum working temperature of glass DURAN® is 500 °C. At temperatures above 525 ° C, glass begins to soften, and a temperature above 860 ° C liquefies. May be cooled to a very low freezing temperatures and is therefore suitable for use in contact with liquid nitrogen (about -196 ° C). In general DURAN® products are recommended for use down to - 70 °C, while defrosting must be ensured that the temperature difference does not exceed 100 K.
DURAN® glassware is suitable for use in microwaves. DURAN® glass is highly resistant to changes of temperature (ΔT = 100 K). Thanks to the very low coefficient of linear expansion (3.3 x 10-6 1/K) in the articles of this material in practice there are no stresses during rapid temperature changes (e.g. not crack the vessel when filled with boiling water). DURAN ® is a commercial version 3.3 borosilicate glass, hence the majority of the properties and composition is similar to the type of glass. Due to the high content of silica (SiO2), DURAN glass is very resistant to water, acids, organic solvents and halogens. Only hydrofluoric acid, hot concentrated phosphoric acid and strong alkaline solutions cause significant corrosion of the glass. 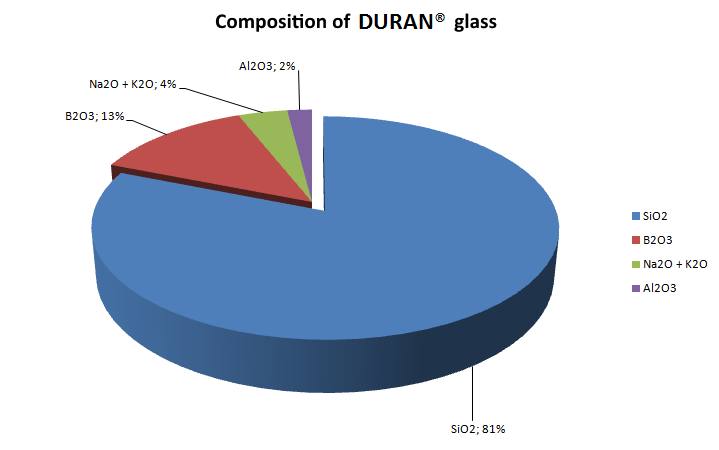 DURAN® glass is generally available in the form of tubes, rods, capillaries or laboratory glassware and apparatus.